You're on vacation or studying in Florence? Do you have a problem with your smartphone? If you want to come and visit us, we are here, let us know before. We are your go to, one stop service for professional repair, parts, tools, and know how in Florence. Our operators are here for you no matter what your hardware problem is. 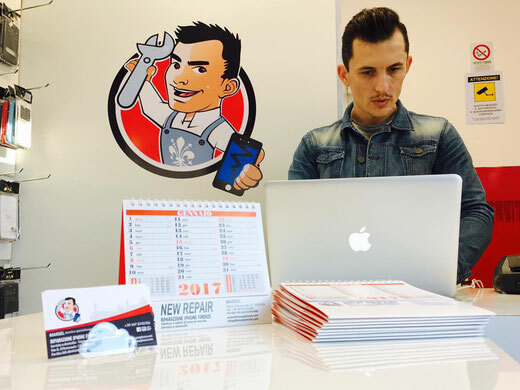 We offer a wide range of repair services for many different devices (check navigation manu for model and prices). We repair nearly all major brand tablets and smartphones. Don't see a repair listed? Send us a message! We repair your phones in 20 minutes at your home or office. We are your doctor iPhone in Florence! Our repair services encompass everything from seamless glass repair for your broken iPhone glass while you stay in Florence, Italy to complete functional restoration of your water damaged iPad, Samsung Galaxy, Macbook, Huawei, tablet, etc. and we reply as well. At Riparazione iPhone Firenze we stand proudly behind all fixes and services we provide and exclusively use high quality parts for all broken iPhone repair, iPad repair, and all other device repairs. Devices purchased from AT&T may be programmed with software that prevents them from operating with other compatible wireless networks. You may need to unlock your phone or tablet before it will work on another carrier's network. To unlock your AT&T wireless device you have to send a message to us! Call or text to +39 347 8192356 and you can repair all smartphone models at unbeatable prices and you have one-year warranty on all repairs. Also we protect privacy of our customers and contents inside smartphones. e puoi riparare tutti i modelli smartphone a prezzi imbattibili e hai garanzia di 3 mesi su ogni riparazione. Tuteliamo anche la privacy dei nostri clienti e il materiale contenuto negli smartphone.